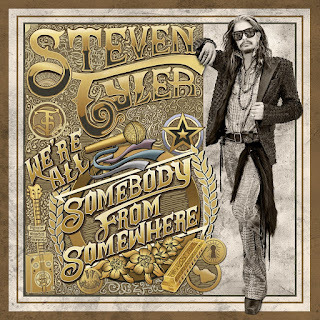 Hall of the Mountain King: Review: Steven Tyler, "We're All Somebody from Somewhere"
Review: Steven Tyler, "We're All Somebody from Somewhere"
I said that I wasn’t going to even listen to this album after hearing the first couple of songs, but I’m such an Aerosmith fanboy that I unfortunately just couldn’t resist. The band provides the soundtrack to some of my best memories and no matter how bad their stuff gets or how far off the reservation frontman Steven Tyler goes, I’ll always hold out hope. That said, We’re All Somebody From Somewhere is exactly as bad as I thought it was going to be. About the best that can be said of the pop country tunes here is that they’re bad latter-day Aerosmith ballads with some traditional country instrumentation. Perhaps the worst offender is “Red, White & You,” which approaches some of the most inane songs that Luke Bryan has unleashed upon the world. It’s a perfect example of what you’ll find here. A close second, though, is “I Make My Own Sunshine,” Tyler’s attempt to recreate Pharrell Williams’ “Happy.” It’s so upbeat and sickeningly sweet as to be completely ridiculous. 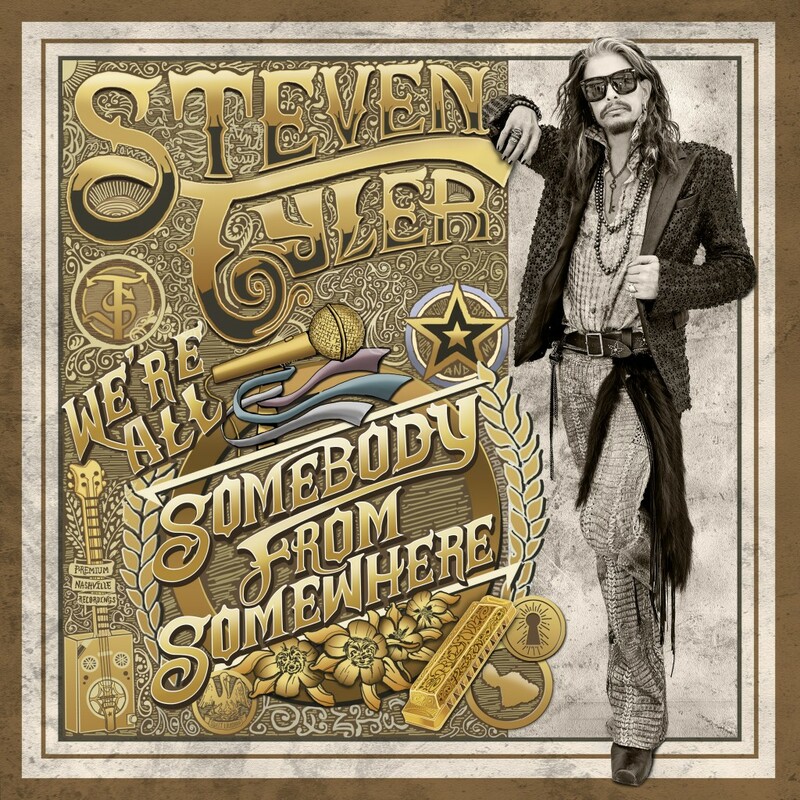 We’re All Somebody from Somewhere revels in its crass pop commercialism, but at least I buy Aerosmith-influenced tunes like “Red, White & You,” “Somebody New” and “Only Heaven” (which is essentially nothing but a bad Aerosmith ballad) as legitimately Steven Tyler. Quite often on this record, though, there’s just really no connection whatsoever. But now, let me turn my attention to the most frustrating thing about We’re All Somebody from Somewhere, and that is that the album absolutely has its moments. Things actually start out well with “My Own Worst Enemy,” which has a bluesy feel as it begins and makes you think it might not be bad. Unfortunately, it then builds to a pure pop country chorus that loses any good will the beginning brought. That bluesy feel returns on third track “Hold On (Won’t Let Go),” which is one of the few songs here that I actually like and may listen to again. It starts dark and bluesy, and builds into a strange industrial-tinged piece that’s very out of place on this album, and actually pretty interesting. I wish he’d done more in this vein. The title track, though it comes off largely as a Kid Rock knock off, does have a slinky, funky, grooving chorus that gets you bobbing your head. You almost wonder what might have happened if the rest of Tyler’s regular band had been involved with this song, and if they could have turned it into something good. Which brings me to the real pisser of the record, and that’s “The Good, the Bad, the Ugly and Me.” This Southern rocker has a distinctive Aerosmith strut to it, and it drives me crazy to imagine Joe Perry and Brad Whitford laying down the guitar tracks on this one and giving it that little bit of extra nastiness that it needs. As it stands, though, “The Good, the Bad, the Ugly and Me” is a potentially great Aerosmith song that’s just OK on this record. The last two tracks on We’re All Somebody from Somewhere stand in stark contrast to each other. First is a redo of perhaps Aerosmith’s most overplayed song, “Janie’s Got a Gun.” I really don’t care if I ever hear that song again, and this version doesn’t change that. It’s more disjointed and less interesting than the original. 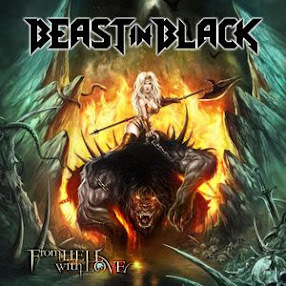 But then there’s the album-closing countrified cover of Janis Joplin’s “Piece of My Heart,” which is almost enough to change your mind about the whole album. Tyler brings great attitude to the performance, and it’s just an infectious version of the tune. It may be the only thing in these 15 tracks that was actually worth putting on tape. The idea of Steven Tyler going “country” is laughable, and you largely get what you expect. But there are just enough little moments on We’re All Somebody from Somewhere to make you think that there might have been a half-good idea in here, if it had been focused in the right direction and well executed. The blues-influenced bits and pieces are clearly right in his wheelhouse, and if this album had a lot more grit, half as many love songs and a little more experimentation like “Hold On,” who knows? Of course, then, I guess it would have been an Aerosmith record. It’s hard to accuse Tyler of selling out, since he’s always been about the spotlight, but this, by and large, sounds like exactly what it is – an aging rocker trying to cross over into the lucrative pop country market. And, because of his name and history, he’ll probably succeed.